How did the alligator get its name? Alligator are large reftiles related to the crocodile. They resemble lizards in their shape. 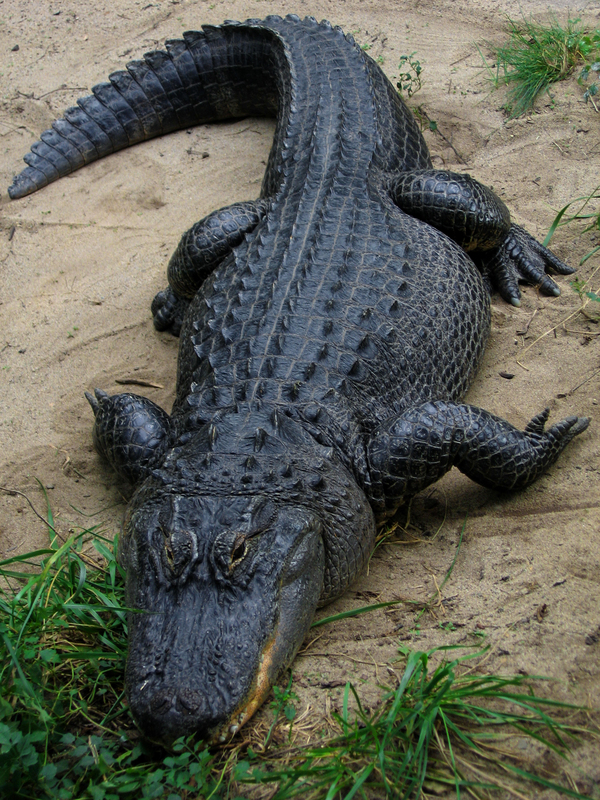 The American alligator lives in the swamps, rivers and lakes of the southeastern United States. The great body, covered with an armor of thick, leathery scales, may grow to be 12 feet or longer and weigh more than 400 pounds. The huge powerful tail serves to drive the animal through the water. Alligators are meat eaters. They eat fish, shakes and turtles, and any other small animal they can catch. They will even attack dogs or deer that come to the water’s edge to drink. What is a Barracuda Fish? 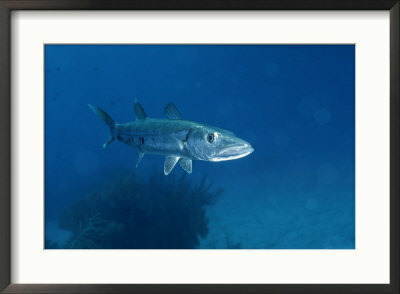 Barracuda are pikelike saltwater fish. They are sometimes called “tiger of the sea” because of their pierce nature. One of the fiercest of fishes is the barracuda. These slender, pikelike fishes with jutting jaws and razorlike teeth live in the warmer waters of the Atlantic and Pacific oceans. It seems to fear nothing and may attack anything that moves in the water, including man. In fact, many people think some barracudas are more to be feared than most sharks. When the barracuda finds a school of fish, it slowly stalks them, then dives into their midst, biting and slashing with its sharp teeth and powerful jaws. Why is the owl considered wise? The owl’s big staring eyes and thoughtful appearance have given it for reputation for wisdom but it is really no smarter than many other birds. Owls are said to be very wise. This old belief is probably due to the Owl’s appearance – and not because it is wiser than other animals. 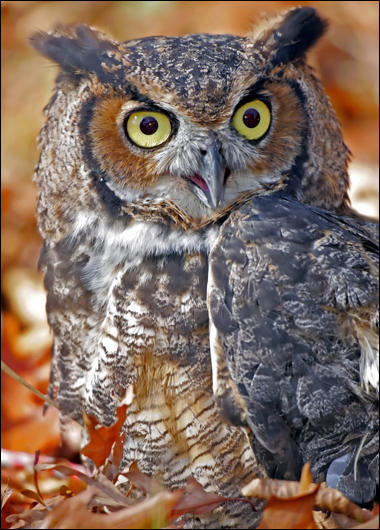 The owl’s large, staring eyes and thoughtful air give the appearance that it is thinking very hard. Actually, the “wise old owl” is really no smarter than many other birds. Geese, crows and ravens are all smarter than the owl. You can recognize an owl almost at once by its large, broad face with a ruff of feather around the big eyes that look straight out as a human being’s does. The owl is more often heard than seen. Most sleep by day and drift like shadows at night over meadows and woods, hunting for mice and other small prey. The hooting call of the hoot owl is so well-known that most people believe that all owls hoot. Why is a horse mounted from the left side? The custom of mounting a horse from the left probably started when men more long swords that hung doesn’t the left leg. Mounting from the left kept the sword from getting in the way as the rider mounted. Many people enjoy riding horseback for fun and sport. One of the first things a rider learns is to mount (get on) a horse from the horse’s left side. The custom of mounting from the left probably started long ago when men wore long swords that hung down the left leg. It was easier to throw the right leg across the horse’s back, since the long word wouldn’t become entangled with the rider‘s legs as he mounted. 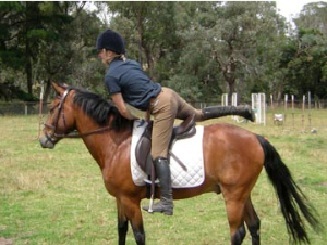 Most horses become used to being mounted from the left side during training. Mounting from the right side might confuse or startle it. Dismounting is also done from the left side. Riding horses is lots of fun. Often a rider complains that the horses he rides are stubborn or mean. 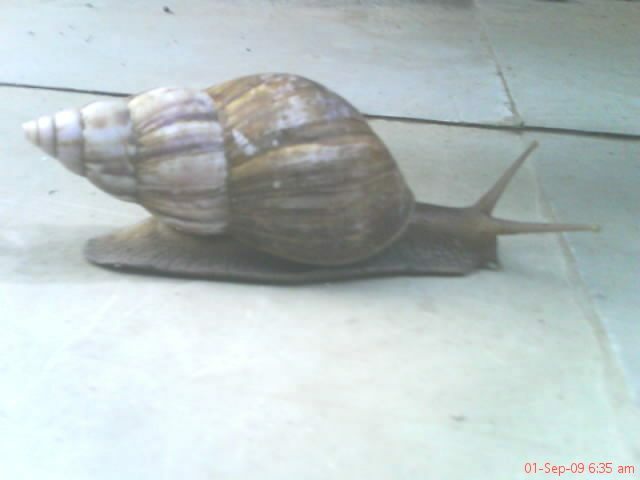 The common snail is slowly inched forward by wavelike motions of its muscular foot. 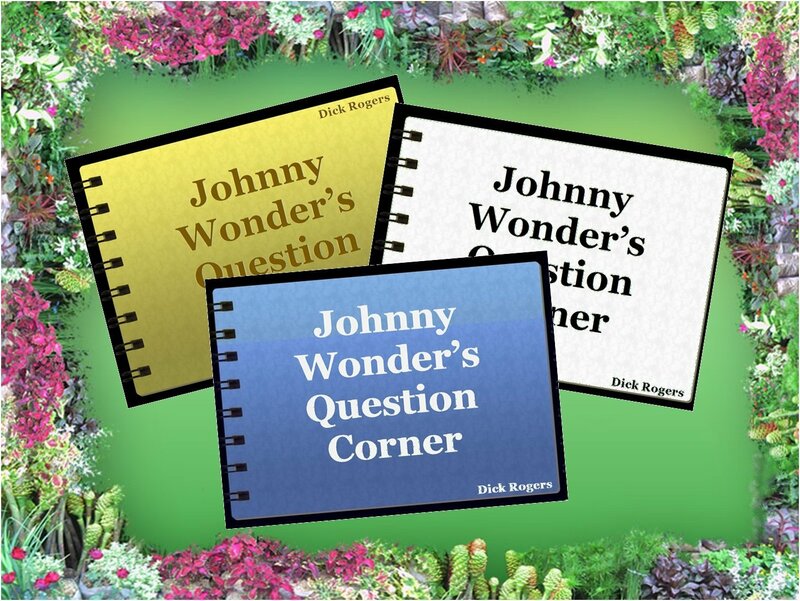 Almost everyone is familiar with the common garden snail. Snails are small animals that usually carry their shells on their backs and leave stick trails of goo behind as they creep along. A snail moves around by creeping on a part of its body that seems to be its stomach. It is really a broad foot. The muscles move in a backward, wavelike motion that causes the snail to inch slowly forward. As the snail moves along, special glands in its foot pour out a slimy fluid that serves as a slippery path to help the snail slide along more easily. The goo also helps protect the snail’s body as it crawls over sharp twigs and rocks. As the snail creeps along on its slick pathway, only its head and big foot are out of the shell. The snail’s eyes are on the tips of its feelers.